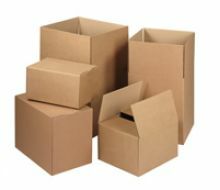 With our sturdy and cost-effective cardboard mailing boxes, you can ensure the safety and protection of your items. 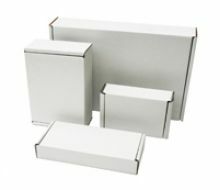 As well as the ever-popular self-sealing brown cardboard boxes, this range includes 3 sizes of white self-locking postage boxes. 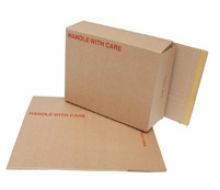 We also have the handy foam-lined boxes for fragile objects, the strong and secure book mailing boxes and the user-friendly postal tubes, with white caps in 7 sizes. Our choice of smart, well designed mailing boxes gives you packaging that is both highly protective and time-saving because it makes packing so simple. 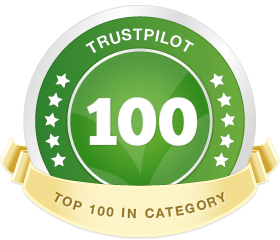 Whether posting fragile or non-fragile goods, you will have satisfied customers because our mailing boxes ensure the contents reach their destination safely. Each product in our comprehensive range is designed for the protection of your items. They also come in different sizes to meet varying postal requirements. 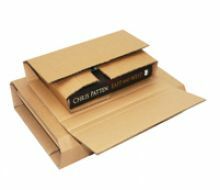 We have ingeniously-designed flat-packed cardboard postal boxes which are easy to store and do not need taping or gluing. Our white postal mailing boxes in three sizes are a smart choice, the self-locking feature providing sides of triple-thickness – and they are ideal for customisation. 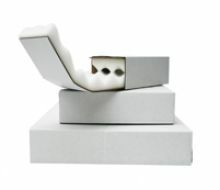 For fragile and delicate items like jewellery and electronics, choose our convenient double-layered foam lined cardboard boxes. Book mailers provide just the right packing material for books, pictures, mirrors and other solid flat objects (watch the video to see how just how protective they are, and how to use them). To complete this range of postal mailing boxes, we have many different sizes of poster tubes, a handy packaging solution for rollable objects such as maps, calendars, blueprints and charts.